Mastery over finances is a critical step for the long-term financial health of all entrepreneurs and citizens, alike. However, debt is often a hurdle for achieving money mastery. The process of creating a strategy for tackling debt provides an invaluable opportunity to take stock of your spending and create new financial habits for long-term financial health. What do you do if you are swimming in debt? Filing for bankruptcy is not the only solution. There are other options, including debt management programs, which are generally offered by non-profit credit counselors. In the right circumstances, these programs are effective. However, it is important to remember they aren’t for everyone. Here are a few things to consider before embarking on a debt management program. Under a typical debt management program, you will work with a counselor to develop a plan to clear your debts. There is no loan involved. Instead, your counselor will negotiate with your creditors to lower your interest rates and monthly payments. Potentially, any additional fees, penalties or other money owed will also be rescinded. These plans typically dissolve your debt in three to five years. Thorough due diligence is important when selecting an organization for debt management support. Not all programs are offered by non-profit organizations and some may come at a higher-than-expected cost. Debt management programs may involve either consolidation or settlement of debt. Although these terms are often mistakenly used interchangeably, they mean very different things. Debt consolidation is the process by which all your bills and debts are combined into a single monthly payment, ideally at a lower interest rate. If you make your payments in a timely manner, this can improve your credit score and save you considerable money in the long-run. On the other hand, debt settlement—often called debt forgiveness—is a negotiated agreement to close out your debt for a percentage of the amount owed. For example, a borrower may agree to pay 40 cents on the dollar to satisfy the creditor. Although this can negatively impact your credit report (and may have tax consequences), it can be a positive step toward regaining your overall financial health. Type of debt: Under some plans, not all types of debt qualify. For example, student loans and mortgages would not be eligible under a management plan. Best Interest Rate Not Guaranteed: There is no guarantee that you will get the best deal if you start one of these programs and that your counselor will negotiate a lower interest rate on the debt owed. You may be able to get the same deal or a better one on your own. Opting for Bankruptcy: Sometimes, your debt load is simply too large for a management plan to realistically work with your current income. In this case, filing for bankruptcy may free you from crippling debt payments and allow you to move forward with a greater sense of fiscal responsibility. Although filing for bankruptcy will provide you with legal protection from creditors, it will also adversely affect your credit score in the long-term and limit some future purchasing opportunities like obtaining a loan for a home or car. This is one reason why less extreme alternatives like debt management programs appeal to some people. Missed Payments: Some plans can be fairly strict about missing monthly payments. If you miss a payment, the plan can be rendered invalid, creating a greater financial problem. Be sure to read the fine print of the contract of your debt program and know what the consequences are in such circumstances. Time Required to be Debt-Free: Your needs and timeline to be debt-free are a determining factor in what course of action is best. 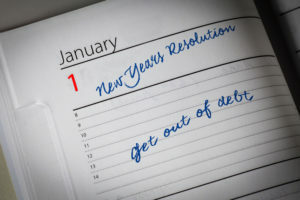 Debt management generally takes three to five years compared to filing for bankruptcy, which is only a few months. Determine what your short- and long-term goals are. Debt management programs are a smart solution for some people. Ultimately, the right choice depends on your individual circumstances. Regardless of the plan you choose, this should be an opportunity to reverse course and become financially empowered.